The Germanic tribes were groups of people who lived in Lower, Upper, and Greater Germania. A lot of what we know about the Germanic tribes comes from ancient Roman texts, some even written by Julius Caesar. Germanic tribes helped shape the face of Europe today, and contributed to the downfall of the Western Roman Empire. The Romans were famously defeated at the Battle of Teutoburg Forest, where three Roman legions were completely obliterated. The Visigoths grew significantly larger during the end of the Roman Empire, in Late Antiquity. The Visigoths had a complicated relationship with the Roman Empire. They would go back and forth between war and peace, whenever it was convenient for them. The Visigoths are famous for their victories over Rome. 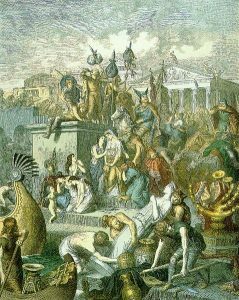 In 410 ad the Visigoths sacked Rome under the leadership of Alaric I. The war between the Visigoths and the Roman Empire began around 376 ad. The Visigoths had an agreement with Rome to settle on the bank of Danube and were promised provisions from Rome. Unexpectedly a famine broke out in Rome, and Rome couldn’t make good on their deal for the provisions or the land. 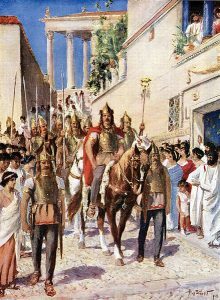 The Romans then started abusing the the Goths, which led to a rebellion and then a six year war, the destruction of a Roman army, and the death of a Roman Emperor. 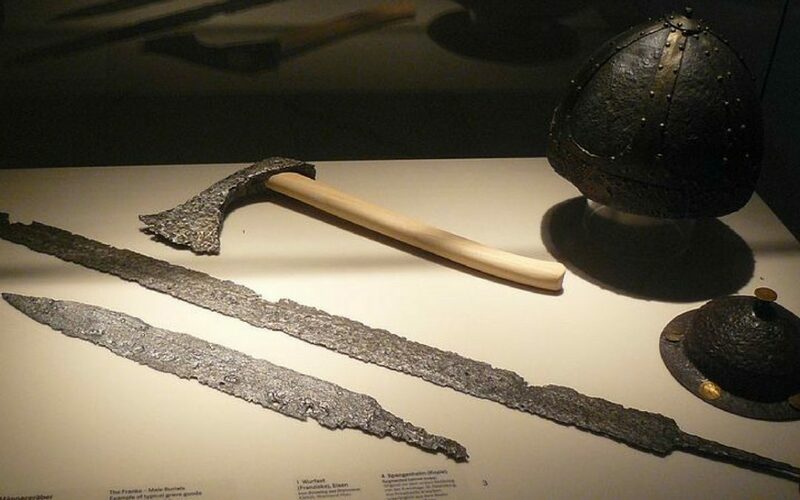 The Vandals were a group of East Germanic tribes that came from Poland, but later travelled around Europe establishing Kingdoms in Spain, and North Africa. In 406 the Vandals advanced from Pannonia travelling west along the Danube without any trouble, but got into battle with the Franks after reaching the Rhine. This battle was devastating for the Vandals, 30,000 vandals died in the battle. However thanks to their allies, the Alans, the Vandals still managed to claim victory. They then crossed the River Rhine, and went on to attack Gaul. They plundered their way westward, and southward through Aquitaine. The Cherusci were first mentioned by Julius Caesar, he wrote that the Bacenis forest was seperated the Cherusci territory from the Suebi territory. The Romans subjugated the Cherusci, and other Germanic tribes in 12 BC. Rome attempted to expand further north, and tried to exploit divisions within the Cherusci. The result of this was a Germanic rebellion against the Romans. In 9 AD an army of Germanic tribes under the leadership of Arminius defeated the Romans at the Battle of Teutoburg Forest. This was one of Romes most ruinous defeats. Three Roman Legions were destroyed and it lead to Romes strategic withdrawal from Magna Germania. The Ostrogoths built an empire stretching from the Black Sea to the Baltic. In the year 370 the Ostrogoths were attacked and defeated by the Huns. After being annexed by the Huns they didn’t play a significant part in history until about 80 years later when they appeared in Pannonia as federates of Rome. When the Hunnic Empire collapsed the Ostrogoths moved towards Illyria and the borders of Italy. 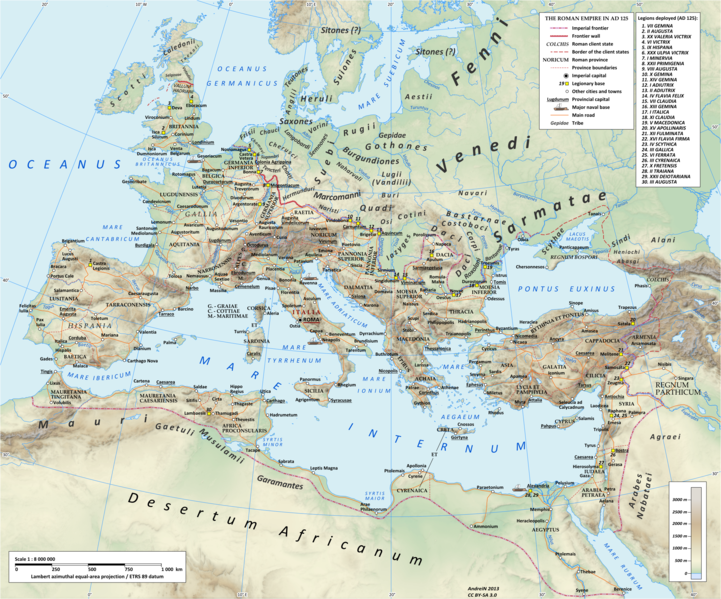 The Ostrogoths conquered the Kingdom of Italy of the German warrior Odoacer. They did so under the leadership of Theodoric the great. A 20 year war followed, when the Eastern Roman Emperor declared war on the Ostrogoths. The war devastated Italy, and depopulated the country. The Chatti were one of the Germanic tribes allied with the Cherusci at the Battle of Teutoburg. Not long after he battle the Chatti’s land was invaded by the Roman General Germanicus who sought revenge for their earlier defeat. The Chatti aggressively defended their lands, but the Romans responded by building Limes border fortifications along the border. The Chatti sent a major invasion force to attack Rome in 50 AD but it lost decisively. Germanicus eventually managed to destroy the Chatti capital known as Mattium. 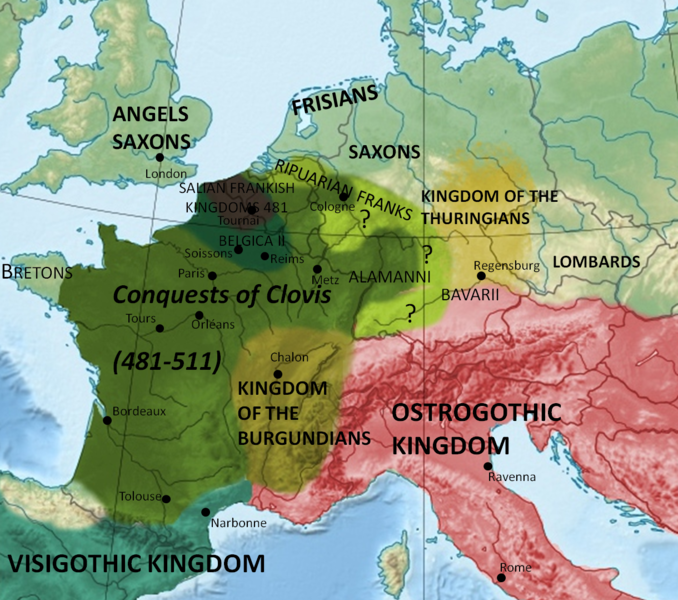 The Chatti eventually became part of the neighbouring Franks, and were incorporated in the Kingdom of Clovis I. The Burgundians were a large east Germanic tribe living in what would be modern day Poland. The Burgundians moved west towards the Roman frontiers along the Rhine Valley. They established themselves in the worms but overtime they established the Kingdom of the Burgundians with help from the Romans. This eventually became a part of the Frankish Empire. The Burgundians fought alongside the Romans against Atilla the Hun in the Battle of the Catalaunian Plains. This ended in a strategic victory for the Romans and the Huns withdrew from Gaul. The Chauci are a Germanic tribe who lived in the low lying region between the Rivers Ems and Elbe, on both sides of the Weser and ranging as far as the inland upper Weser. Fascinatingly they used to live on artificial hills. These would be built so high that they wouldn’t get wet no matter how high they got. These artificial hills were built on the border, the majority of their population was concentrated further inland. 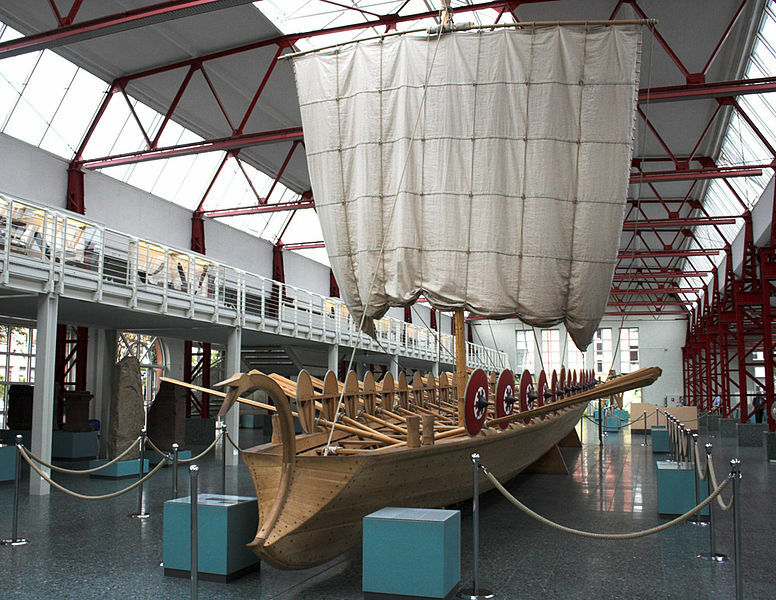 The Chauci were famous sea raiders and raided the coasts of Roman Belgia in 41 AD, and participated in raids in this area for many years. By the late second century Chauci raiding was ongoing and more serious than before. 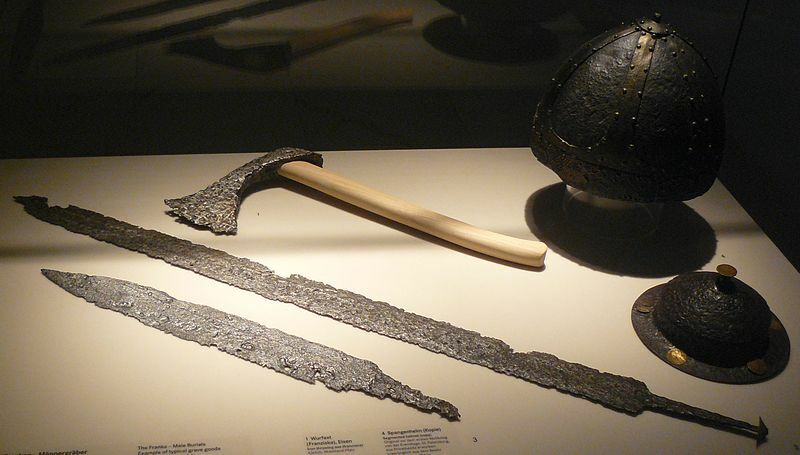 It’s possible that the Chauci played a role in the forming of the new Germanic tribes, the Saxons and the Franks who were raiders in the 3rd century. These ancient Germanic tribes lived near the North Sea coast of what we now call Germany. The Saxons would raid and settle in many northern areas. A large portion went to great Britain, and became the Anglo-Saxons. The Anglo-Saxons founded the first united Kingdom of England. The Saxons who remained in Germania fought against the Frankish Empire, and slowed it’s expansion under the leadership of Widukind, a Saxon hero surrounded by legend. Widukind was Charlemagne’s biggest rival during the Saxon wars from 777 to 785. The Saxons were determined to resist Charlemagne who wanted to convert them to Christianity. One tactic they employed was to vow to become Christians to let his guard down, and then when he was distracted with other matters they would stage an attack against him. This is a tactic they used many times. 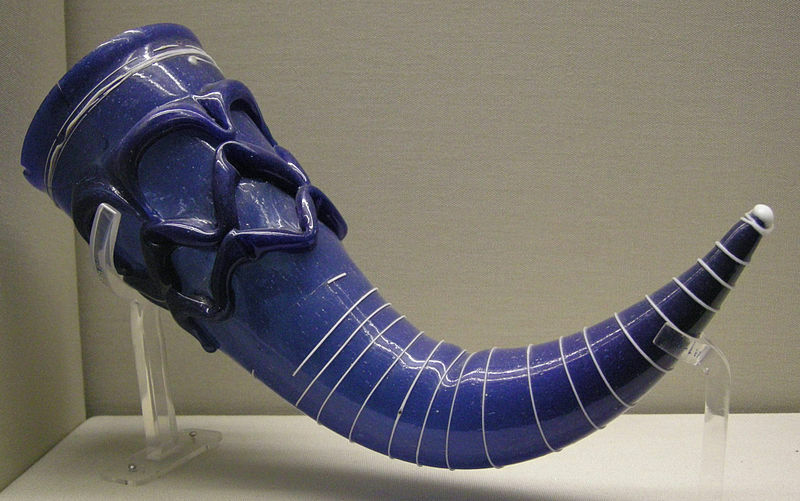 The Franks lived in the land between the lower and middle Rhine during the 3rd century AD. The Franks were one of the most badass Germanic tribes of all time. Charlemagne was king of the Franks and is considered to be one of the greatest conquerors of all time. Under his rule the Franks united a large part of Europe, and planted the seeds for modern day France, Germany, and the Low Countries. Charlemagne took the Frankish throne in 768 and became Italy’s king in 744. Charlemagne eventually became the first Holy Roman Empire. The Lombards were a powerful Germanic tribe who ruled large parts of the Italian Peninsula. The Lombards were originally a small tribe but they ventured out and began conquering new lands. 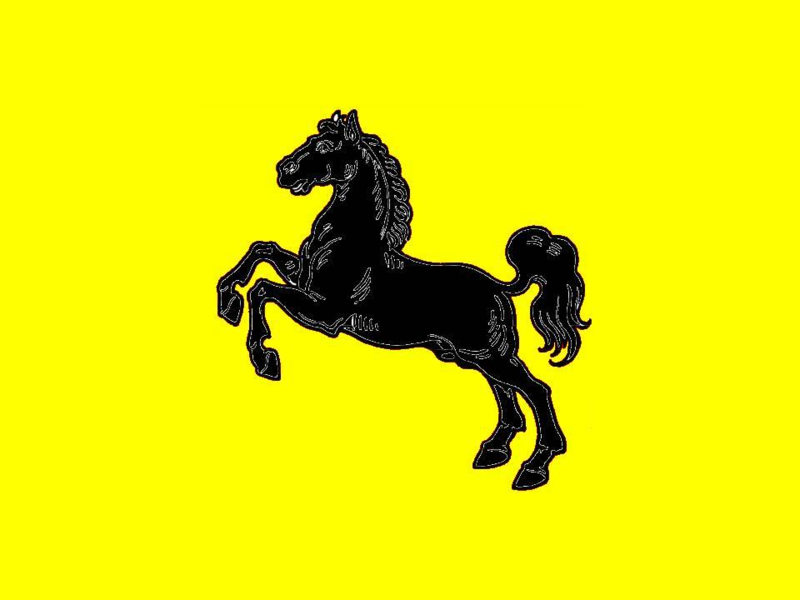 They fought many wars with the Gepids but eventually defeated them at the battle of Asfeld in 567. After this victory they went onto to attack Italy whose population had declined dramatically after their war with the Ostrogoths. The Lombards attacked in alliance with many other Germanic tribes, including the Ostrogoths. Together they completely defeated Italy. Around 570 AD they had conquered all north of Italy and almost all the most important cities north of the Po River.